HSUMD is a small nonprofit corporation located in Ridgecrest, California. As an historical society, our main mission is to find, store, preserve, protect, exhibit, and educate the public about historical artifacts and materials related to the history of our region. The Society also has a mission to write and publish books and other materials that reveal our region[HTML_REMOVED]s history. 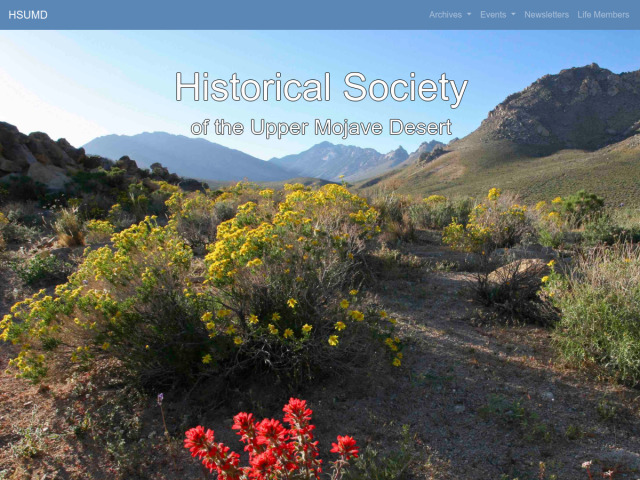 And the Society has a mission to restore, operate, and display a collection of historic buildings that represent the civic origins of the city of Ridgecrest.